Searching for the right protein bar? Yesterday, Vega Sport Protein Bars were featured on the national health-focused talk show, The Dr. Oz Show. The March 12 episode focused on the benefits of incorporating quality protein into your daily diet. During the show, Dr. Oz shares his Protein Bar Ground Rules to refer to when searching for a clean and functional bar that isn’t chock-full of sugar. He also reveals his personal favorite protein bars. 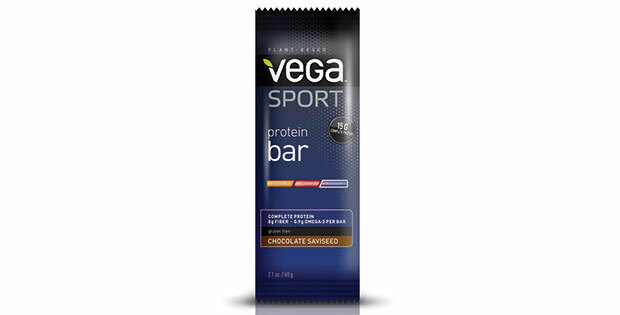 For energy, Dr. Oz suggests Vega Sport Protein Bar in Chocolate SaviSeed flavor as a plant-based and gluten-free option stocked with healthy carbs. To read Dr. Oz’s Protein Bar Buying Guide and to watch Dr. Oz’s Favorite Protein Bars for Weight Loss and Energy, please visit. www.doctoroz.com. The Dr. Oz Show, hosted by health and medicine expert Dr. Mehmet Oz, looks to answer common health questions with leading experts.